Canon 10-22mm wide angle lens, now fits full frame! Great lens that I hacked a to fit a full frame camera. I have reduced the price to $290, includes shipping. 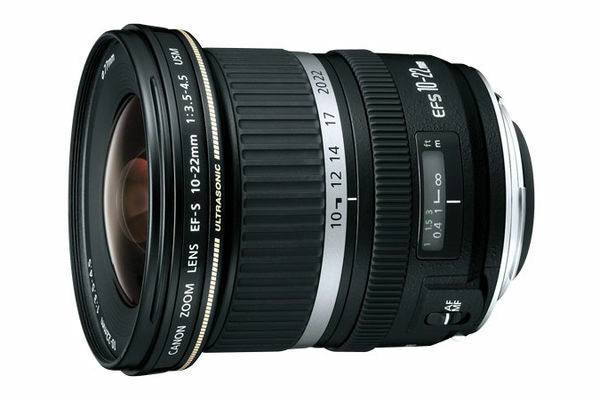 By the way, years ago I rented the 16-35mm, which is about $1600, to see if I should upgrade and found the 10-22mm to be equal!! Saved me a lot of money!!! Can you post a full frame image shot at 10mm? I have this lens, how did you get it to be used on a FF camera? You can't make it zoom to 10mm when it's on a FF body. It will hit the mirror. But you can zoom it to about 12-14mm without it hitting. You have to be careful. When Wendy sees your question she will confirm this. As to how she did it, you simply buy a plastic insert that's designed for a FF camera, remove the old one from this lens, pop the new FF insert in, and wala, it will fit a FF body. But as pointed out above, you must use the lens with care if you put it on a FF camera because it will interfere with the mirror when zoomed to 10-11 mm. Here is a link to the hack. Unfortunately Canon no longer sells the part that makes it possible. Hey Jeep Daddy!!!! How are you!? A few years ago my husband and I moved to WA. State up in mountains ...loving it! Please note that they are NOT available. One site says backordered the other says 0. They get them from Canon. I called Canon and they said it is no longer available. Hi Wendy. I saw on one of your other threads that you had moved and that you hadn't been on UHH for a while, but your are back. Glad you are back. I've missed you. I'm thinking of moving to the mountains in Arizona in a year or two. I'm tired of the Liberal state of California and it's high costs. My gas, electric and water just increased 33% and my auto registration just increased 50%. Gas tax increased 12 cents a gallon. They are building a bullet train that is costing way too much. I could go on and on. Anyway, some cousins moved to Prescott AZ a couple years ago and I've been to visit them and it's lovely up there. See you around. Good to here from You! We got sick of the same climate and heat and wanted 4 seasons. It is so much cheaper here in Washington and the air is so freah and clean where we are. We live about 1500 feet on 31/2 acres overlooking the Columbia river. We have snow right now and it looks so beautiful on the fir trees. Auto registration is so cheap, no state tax and the houses are so well insulated. Out house is heated by an electric heat pump and heating our main floor in the winter does not exceed $175 and our cooling is even better. Good luck with your approaching move!